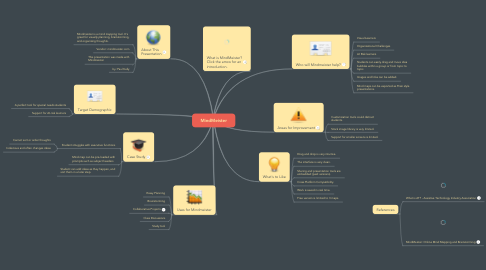 Mindmeister as an assistive technology tool. 1. Who will Mindmeister help? 1.4. Students can easily drag and move idea bubbles within a group or from topic to topic. 1.5. Images and links can be added. 1.6. Mind maps can be exported as Prezi style presentations. 2.1. Mindmeister is a mind mapping tool. It's great for visually planning, brainstorming, and organizing thoughts. 3. What is MindMeister? Click the arrow for an introduction. 4.1. 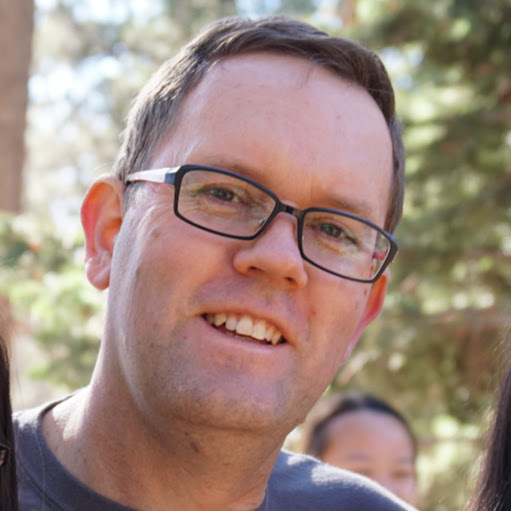 Customization tools could distract students. 4.2. Stock image library is very limited. 4.3. Support for smaller screens is limited. 5.1. Drag and drop is very intuitive. 5.2. The interface is very clean. 5.3. Sharing and presentation tools are embedded (paid versions). 5.5. Work is saved in real time. 5.6. Free version is limited to 3 maps. 8.3. Student can add ideas as they happen, and sort them in a later step.